There should be no second chance for driving under the influence. It’s an attempted murder the first time, but okay, people make mistakes. Learn from it, though, and don’t expect a second chance. If you’re charged with DUI more than once, it should be an attempted murder charge. Northwest Arkansas residents have witnessed repeated news videos recently of a local woman stumbling around after being pulled over driving under the influence. This is the same woman that ran over three men and killed one while driving intoxicated on excessive prescription drugs a few years ago. Over the past few months she has been arrested three times for operating a vehicle in a similar state. The judge has finally set a high enough bond to keep her sitting behind bars until she goes to court. In 2011 she pleaded guilty to negligent homicide and two counts of third-degree battery, but had her driving under the influence charge dropped as part of the plea deal. Too bad, and too bad she wasn’t charge for child endangerment since her 12-year-old daughter sat in the passenger seat witnessing the horror of her mother’s plow through the construction site that sent bodies flying. I think anyone can make a mistake, and I feel for those who suffer from an addiction so bad they lack the ability to make the decision to keep themselves from operating a vehicle. However, this woman is a perfect example of the fact that one mistake like this can kill. 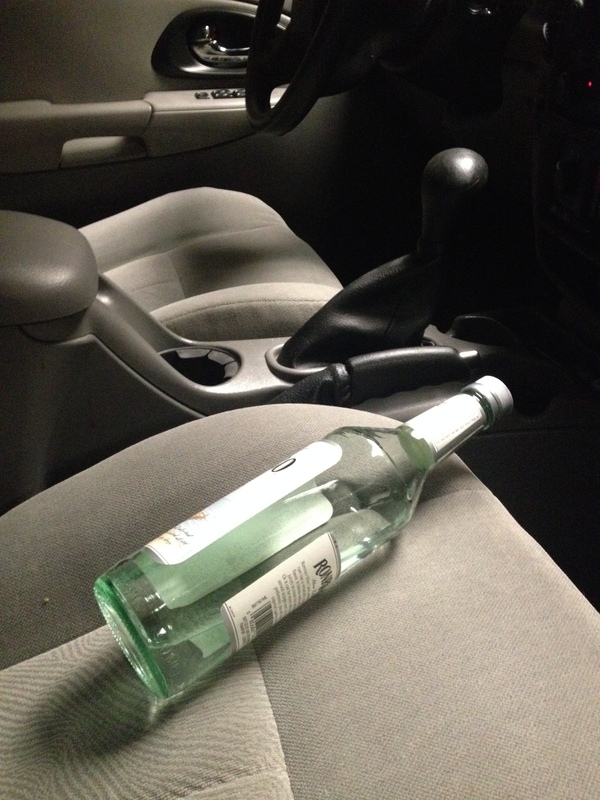 There’s too much risk in letting drunk drivers get a slap on the wrist time and time again. In some states, authorities never confiscate the driver’s vehicle and continue to let them off with the same consequences of a suspended license for a few months and a fine. Many don’t even require alcohol or drug counseling after an arrest. Arkansas courts can require counseling, fines and suspension of license. But it takes four arrests within a five-year period to make it a felony with serious consequences of up to six years in jail and a $5,000 fine. To be charged with attempted murder a person has to “deliberately, intentionally or recklessly with extreme disregard for human life” attempt to kill someone. Isn’t that what happens when you get behind the wheel drunk or under the influence? I think there should be no exceptions, and no waiver after five years. The second time a person is found behind the wheel impaired to the degree they are endangering others, they should be charged with attempted murder. I’m all for programs that pick up those who’ve been drinking and offer safe rides home. The cemetery I managed years ago had an advertising ploy that pulled double duty in shedding some light on the loss drunken driving can cause. It was an offer for a free burial space on New Year’s Eve to anyone killed by a drunk driver. Thankfully, I have no personal experience of tragic loss of a close friend or family member, no vengeance I’m trying to exact, just a long held belief that the danger is there and the consequences can be deadly. I have had family and friends in my life with drug and/or alcohol issues, and would support this stance even if any of them faced such a charge. The punishment for risking the lives of others should be the same if you’d taken a gun out and aimed. The storyline in my first novel out in December has a mystery based a real prison program in Arkansas that helps relieve overcrowding in the state prison system. Overcrowding is a big issue, but I think we need to make room for those who risk the lives of others by driving under the influence repeatedly. This entry was posted in Observations and tagged Arkansas courts, attempted murder, driver laws, drug and alcohol counseling, drunk driving, DUI, DWI, second chance, slap on the wrist, suspended license, under the influence by Lori Ericson. Bookmark the permalink. Thanks for the comment, Alice. Vehicles are just too dangerous for impaired driving. Everyone focuses on booze, but there are millions of impaired drivers who would never think of taking a drink but see nothing wrong with taking prescription medicines and climbing behind the wheel. Alice is absolutely right about the distracted drivers. I don’t remember the exact statistics, but I believe people texting are 23% more apt to be involved in an accident than someone who has been drinking. I drove side by side next to a young woman for over two miles on my way to work who was clearly texting. It scares the hell out of me. There are more people with cell phones than there are who drink. I agree. Texting and putting on makeup are big distractions. I see both a lot in heavy traffic, and it is scary. I totally agree. I know the young woman whose father was killed at that construction site. Her family has been devastated by his loss, and even further so when the “killer” was not punished for what she did. Put her away and take that child of hers and give her a better home. Oh Velda, I’m so sorry for that family. There’s nothing that can ease their pain but time. Yet I can’t help but think that justice would ease their minds, knowing she can’t do it to another family.